So you want to grow some dank erb’? Live in Australia? Confused by the yanks using the insane imperial system and telling you to buy products that only ship within the United States? 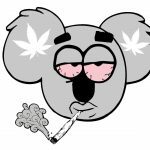 Well, look no further, you’ve finally got it; An Australian Guide & Shopping List for Growing Cannabis Indoors…when it’s legal, of course! This by no means is a definitive guide… consider it more of an easy how-to for any beginners looking to get started. Now, I’m going to be honest here and say two things. First, I’m not an incredibly experienced grower. I can only share what has worked for me, and a lot of that is based on many hours of research. But, I have had great results, and am VERY satisfied with them. Second, this setup isn’t exactly the cheapest one around. You will be facing around $1000 to get started; however, this will pay itself off in the first grow. Let’s begin learning how to grow Cannabis indoors in Australia! The following guide breaks down all of the items required into their own dedicated posts. Click the links to browse alternatives, or learn more information on why we selected what we did. This list can be played with however you wish; we actively encourage experimentation within your own growing operations. Now: onto what I used to grow around 8-14 ounces of that sticky icky every 3 months. A bit expensive, but the light will pay itself off in the long run; particularly over HPS lights. Take a look at our article on choosing the right grow light for more information on why the HLG 260W was chosen. You will also want to get yourself a 24-hour timer switch for $16 on eBay. This switch will allow you to program how long your lights are on for. Whether you pick up a tent or not is really up to you; but we highly advise it. For our list, we have used a 90cm x 50cm x 160cm grow tent, going for $89 on eBay. We like this tent because it fits very nicely into a mirrored closet. It’s not very wide, but it’s sufficient for 3 smaller plants, or 1 very large, well-trained plant. But feel free to grab a 90cm x 90cm x 200cm tent! You can read more about selecting and maintaining your tent in our “Tents for Growing in Australia” article. When it comes to sourcing the soil for your plants, you can always pick some up from Bunnings, or at a local nursery. The best soil for cannabis is likely going to be a premium potting mix. The Osmocote Professional 25L Premium Potting Mix from Bunnings will do you alright, for just $8! If you’re after some of the better soil, check out the CANNA Terra Professional soil from CANNA. 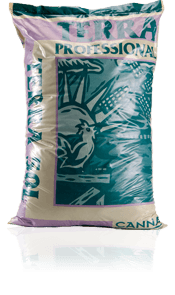 You can purchase CANNA soil in Australia in a lot of hydroponic stores and nurseries. Take a look here to find your closest dealer. If you’re looking for some incredible, high-quality organic soil, you can also check out Easy As Organics! They offer soil which you only need to water; that is, for the duration of its growing cycle, no added nutrients are required. We’ll have a more in-depth article regarding using ‘living’ or organic soil soon! Use the code FABEAO2019 for 20% discount on all their Water Only Soil as well as our amendments. Check out Easy As Organics! For more information on soil, nutrients and other alternatives for your plants, check out our dedicated article. For around $120 (including delivery) you can get yourself the complete range of nutrients needed for growing hydroponically. You can also check out our detailed article on nutrients for more information. One thing you’ll want to consider before picking your seeds is which strain will work best within your own circumstances. You’ll need to consider height, flowering time, the amount of yield, along with the psychoactive and palliative effects. Be sure to consult the infographic below to figure out which variety of seeds will work best for you. Here’s a small list of strains that are easy to grow, organised into their genetic varieties. It’s important to note that the non-auto-flowering plants’ finish time is based on their flowering time. Typically, you will vegetate your plants for 2-4 weeks before flipping them to flower – so add that on to their completion time. If you’re looking for more information on what seeds are best for you, be sure to click this link. When choosing the pots to grow your pot, it’s important to consider a few factors. You want to give your cannabis the best root growth and structure you can, so picking pots that can help with this is important. Fabric/Smart Pots. These pots are similar to Air Pots. They allow for more oxygen to get to the roots, because they are made of fabric. They also allows for better drainage. These pots do dry out quicker than clay pots, but they’re super cheap, very effective, and easily purchased online. It’s also important to have a saucer below your pot to contain the water being drained. For more information on potting, check this link. What about that key ingredient: water? Well, first thing’s first. You’ll need a water can! You can pick one up in Bunnings, of course. I recommend grabbing at least a 9 litre watering can. Not too big, but not too small; your plants need a lot of water! Next, you need to know how to feed your plants nutrients through the water. Read our nutrient guide for more. And now, the most important part of watering. Checking and adjusting for pH to allow your plants to absorb nutrients most optimally. Cannabis plants thrive best in water that is between 5.5-6.5 pH, growing in coco-coir. I would suggest aiming for a pH of around 6.0 for growing hydroponically. If growing in soil plants, best to work at around 6.0-7.0 – a pH of around 6.5 will make your life very easy. Remember, though; you don’t need to be exact. Just buy a pH metre, and be sure to keep it within range. If you want to know more about watering and acidity levels, check out this link. Let’s face it: most of us don’t like the idea of our house reeking of cannabis – even if we’re keen on growing indoors. So, we need to figure out a way to mask the smell. It’s actually much easier than one would expect, with the help of a carbon filter and an exhaust fan. Air circulation and heat control are crucial for masking smells; they are also important for plant wellbeing. Keeping the air moving helps protect your plants from mould, bud rot and mildew. Controlling the heat keeps your plants from getting stressed under tough conditions. To give your plants the best chance of surviving and growing big and healthy, you want fresh air in your tent, and you want the air to continually circulate. This is where an exhaust fan comes in handy. 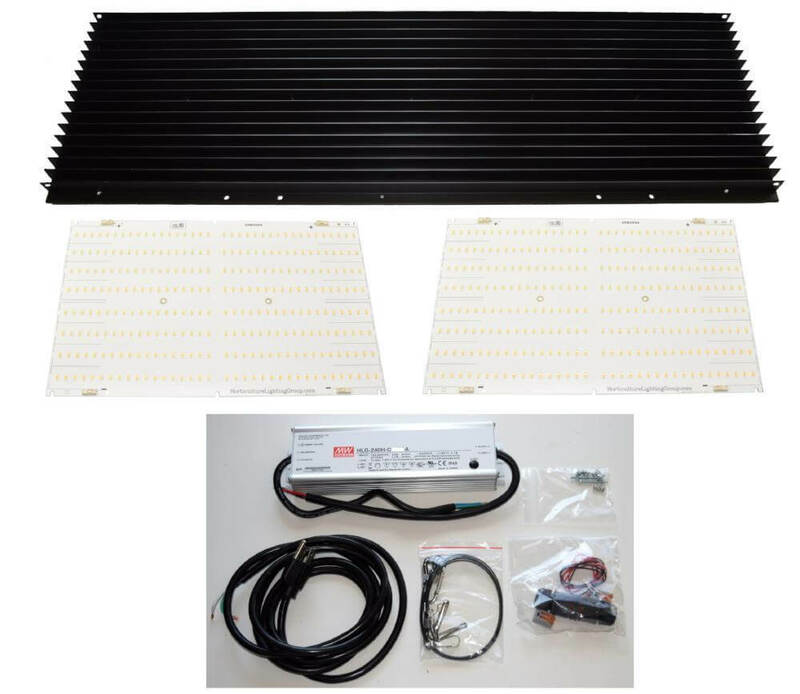 You’ll want to purchase one to take the hot air produced by your grow light outside of your tent. When it extracts this air, it will go through a carbon filter which will mask 99% of the smell. Your exhaust fan will ideally come with some silver exhaust tubing for directing where the hot air will go to. If you’re doing a fairly small grow, we recommend a 4” exhaust fan and carbon filter. You can find the whole kit on ebay for $107 with tubing and the filter. This is sufficient for tents no bigger than 90cm x 90cm x 180cm. However, if you’re around this size or bigger we strongly recommend a 6” exhaust fan. The 6” fan will give you the option to expand if you so choose to, and it has two speed options, fast and slow. The one we have selected on eBay that has ducting, noise reduction clambs and a carbon filter will set you back around $285. For more information on ventilation and why it’s so important, click this link. Coco Coir mixed with perlite: $45 per 50L bag. Congratulations! Assuming you followed all of these directions correctly, you should be well on your way to cultivating your first set of cannabis plants – and all within the comfort of your own home. 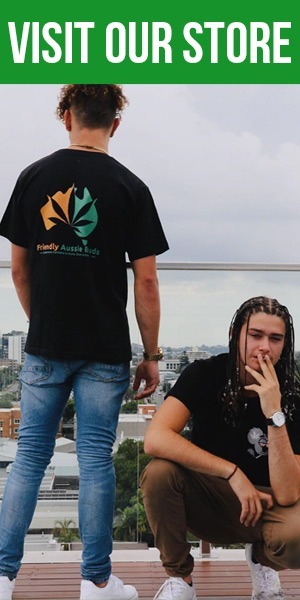 Of course, we at F.A.B know you’re all actually waiting for growing cannabis to become a legal practice before you actually try this one out… cough, cough. Wink, nudge. 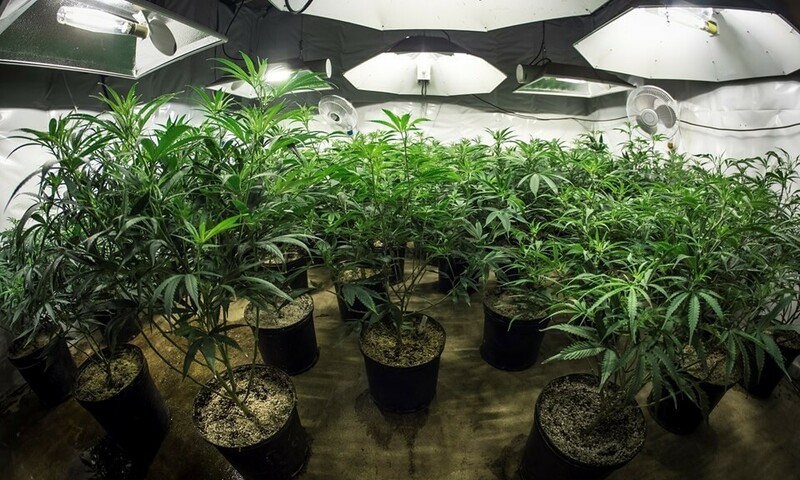 For a more detailed account on how to grow cannabis indoors, here are all of the sub-articles we’ve written and linked to in this article. Best of luck in all of your green-growing endeavours!